Do I love traveling so I can take fun pictures? a LOT of pictures? 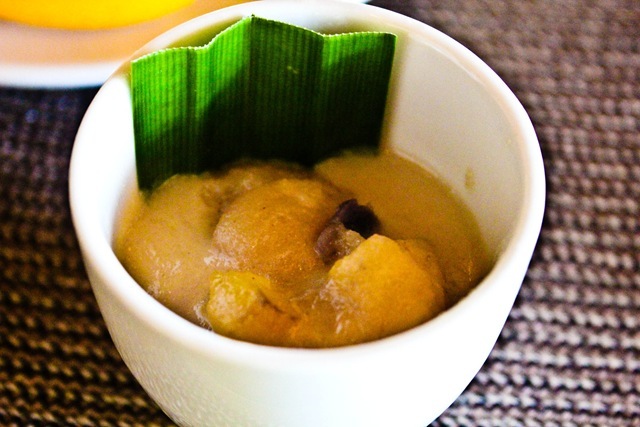 Do I love traveling so I can try different food? Do I love traveling to learn more about myself and at the same time learn about new cultures? Yes, yes, yes to all of the above. 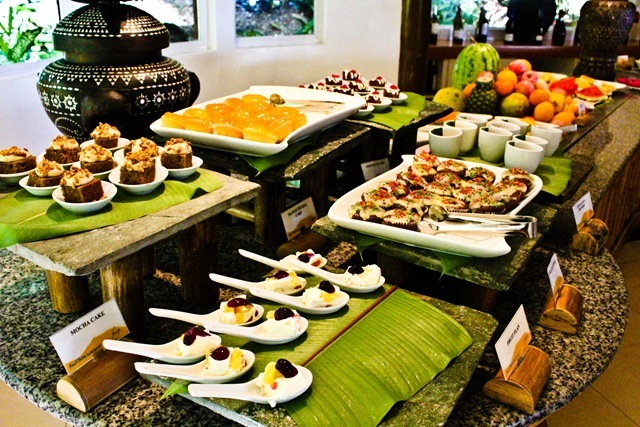 We tried different food during our honeymoon, but one of my favorites were anything that were fruity. Fruits in all forms..fresh fruits, fruit shakes, fruit salad and fruity drinks. 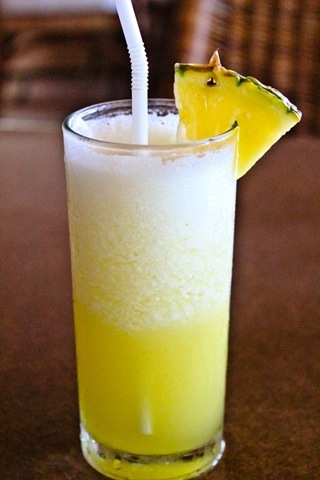 Fresh pineapple shake from Pearl Farm in Davao, Philippines. The desserts were almost always fruit flavored. 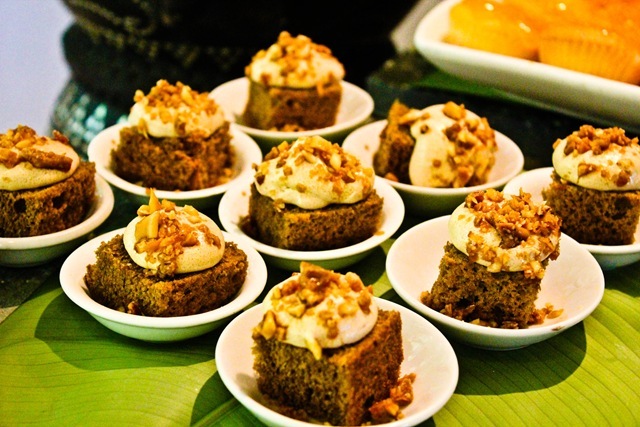 Carrot and pineapple cake anyone? 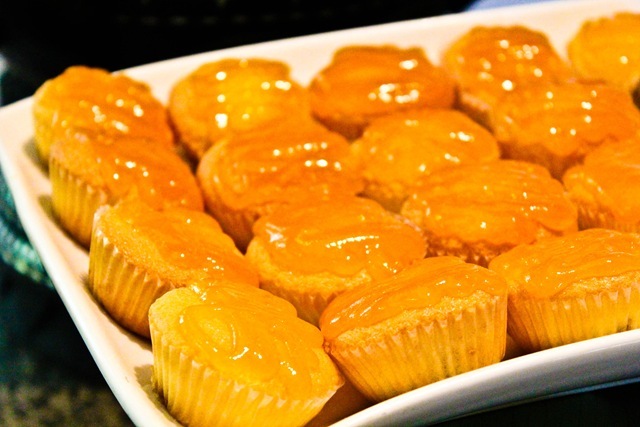 How about mango muffins topped with mango jam? Mango overload. Banana bread for me…actually two for me please? Coconut banana rice ball doughy dessert. I had three. 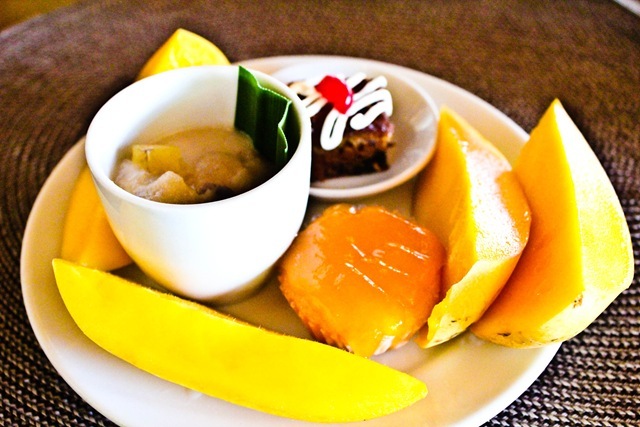 Because I could not get enough of the best and sweetest mango in the world…I had a few more of those too. 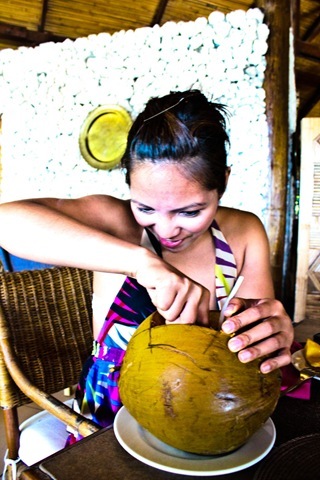 And the best fruit shake ever (we voted, me and Chris both agreed this is the best)….Buko shake (coconut shake). 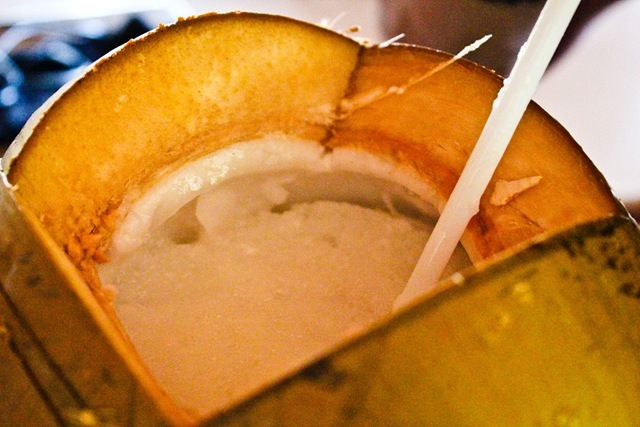 It’s even more fun when it is served with a whole coconut. 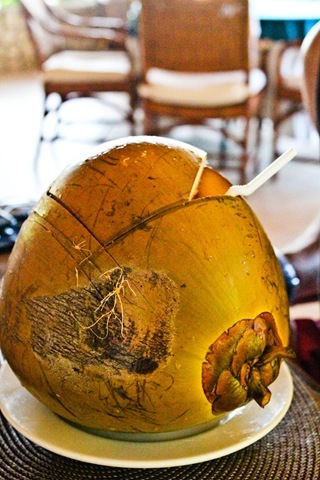 You can drink the shake, then in between the coconut sipping, you can grab your spoon and scoop away the young coconut meat stuck on the insides. It was fun and delicious. It satisfied the coconut lover in me. Even the non-coconut lover was converted. all this looks amazing! Can we go on vacation together?! U know where to go girl! 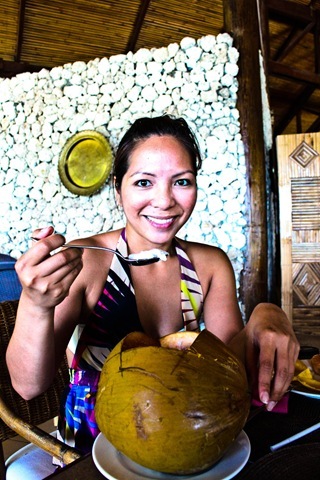 LOVE the pics of you with the coconut, and love how you paired them all together like that, so cute!! Yum. Yum. Yum. That is all I can say about this post! all awesome reasons to travel! Those desserts look insane – wow! All of these pictures look amazing. 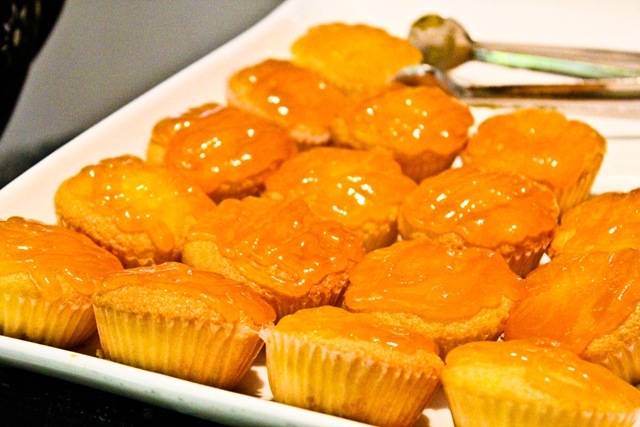 And so do those mango muffins! I love mango. 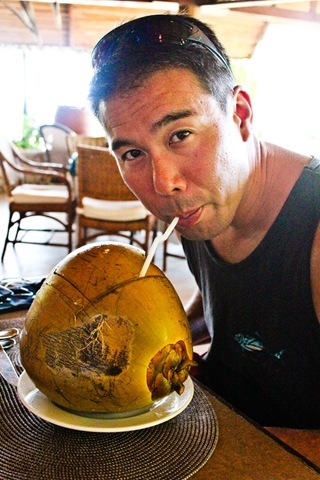 I also loved that drink served in a coconut. So festive and summery! Thanks. Yes, it inspired me too, to bake with some sort of pineapple and carrot dish. I’m stuck wth making a cake or muffins 🙂 Our sweet tooth definitely was in full force during the honeymoon. Just found your blog! So glad I did! 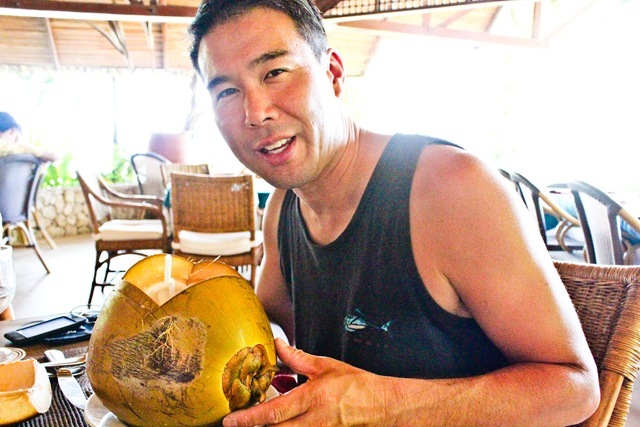 That coconut looks awesome and fun! Oh wow all of those desserts look amazing! The coconut shake looks awesome! I wanna try it! It was huge and heavy. That’s why you see it on the table and not being carried by us. 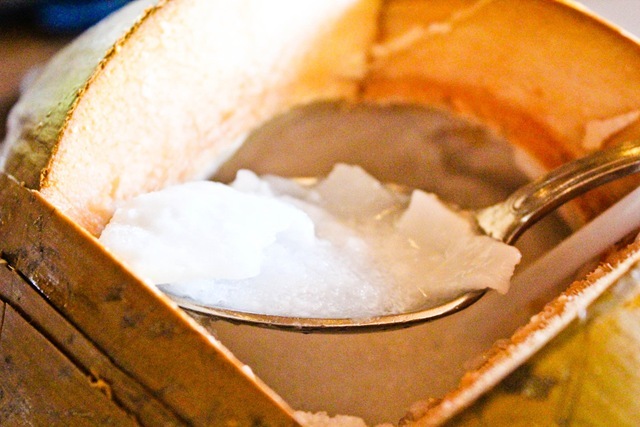 I agree I think the best way to drink/eat coconut or coconut water is right out of it’s own container. 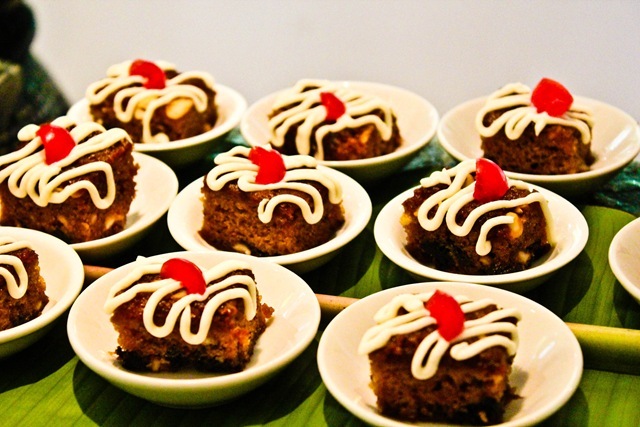 Those desserts look delicious and those picture angles are the best! Thank you so much, I’ve been working on my photography skills. I use Canon Rebel T2i dslr camera. I got it last year and love using it, especially during my travels.